My new book, “Uplifting Quotes on Gratitude and Goodness to Show Appreciation” is here! 150+ of my personal favorite quotes on gratitude, kindness, and social good. 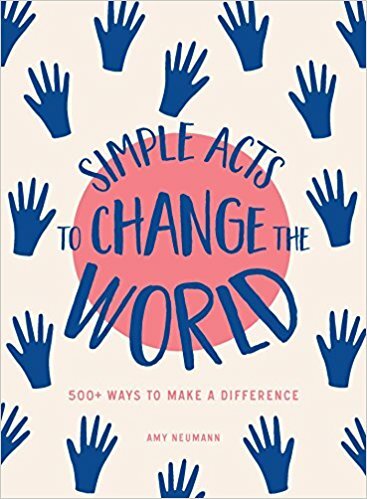 Whether you’re a business or nonprofit professional, or simply like to feel inspired and share your positive outlook with others, this handy book provides quotes to help show your gratitude, compassion, and bright view of the world. To follow up after a great client meeting, interview, or event, or as an anytime thank you to colleagues, donors, customers, family, or friends, this book has the perfect inspiring quote for the occasion. This book is a lot like life: open it up anywhere, and be amazed at the serendipity! Thank YOU so much for being you! © 2012 Amy Neumann, Good Plus Tech LLC.